The SEBA LevelSense is a system for aquisition of water level deviations in ground- and surface water. Because of its easy handling and the convincing cost/performance ratio it is outstandingly useful for economic modernization of existing measuring sites. Up to 17 parameters can be measured: Water level, °C, Conductivity, Salinity, O2, pH, ORP, NH3, NO3-, Cl-, NH4+, Na+, Ca2+, F-, K+, Turbidity, Chl a, Cyano Bacteria and Rhodamine WT. For use with data logger MDS-5. The UnilogLight R of the new UnilogLight family is the successor of the RDS-2 - a low cost and compact rain logger for rain gauge measurement systems with tipping bucket rain gauges of type RG 50, RG 100 or weighing rain gauge system TRW. It is fully maintenance free with LC-display and real time clock. 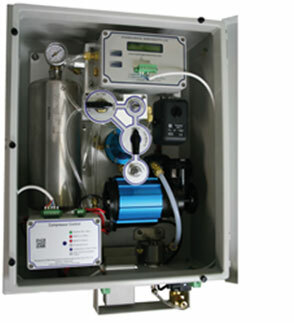 Data logger for water level and temperature monitoring with vented cable for direct air pressure compensation. In combination with SEBA SlimCom you can upgrade this unit with an easy data transfer solution. The intelligent bubbler device measures water level fluctuations in rivers, channels and reservoirs. As sensor with galvanically separated outputs (4-20 mA, Gray, BCD code) or with integrated data logger and GSM/GPRS modem. Measuring range: 0-10, 20, 30, 50, 70 m (with 1 cm accuracy). The SEBA-data logger Dipper-APT provides automatic groundwater measurements of water level and temperature. It is suitable for wells as slim as 1''. Its installation is cost effective and in combination of just one Baro-Dipper the measurements can be barometrically compensated with the aid of DEMASdb software. - We are happy to provide solutions to your specific requirements. For continuous ground water level recording on charts. Robust and reliable float operated chart recorder for water level recording in rivers. High accurate bubbler system with strip chart recorder and output signal. Range: 0-2,5 m; 0-7 m; 0-10 m.
Non linearity and temperature influence are microprocessor compensated. For continous recording of water level fluctuations in rivers and lakes.